On a recent trip to the Canadian Arctic tundra to see polar bears, my Tauck World Discovery tour took me to Churchill, Manitoba, on Hudson Bay to see an Inuksuk. 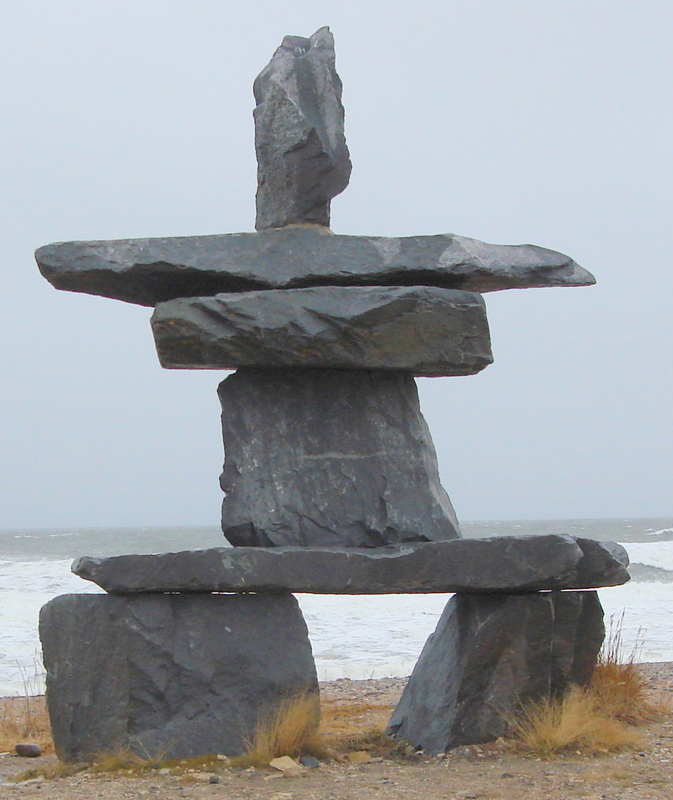 I had never heard of an inuksuk and thought that it looked like a stack-of-rocks traffic cop giving directions. Then I learned that the Inuit people have been building these rock stacks since ancient times to act in the place of messengers, sometimes to indicate a good hunting or fishing place, a spot where surplus food is stored, the way to a certain place or a trail across the tundra. While observing that 15-foot-high inuksuk on Hudson Bay, I wondered if it was pointing the way to a polar bear. I turned my head and saw our first polar bear from the comfort of our warm tundra vehicle, a converted school bus. 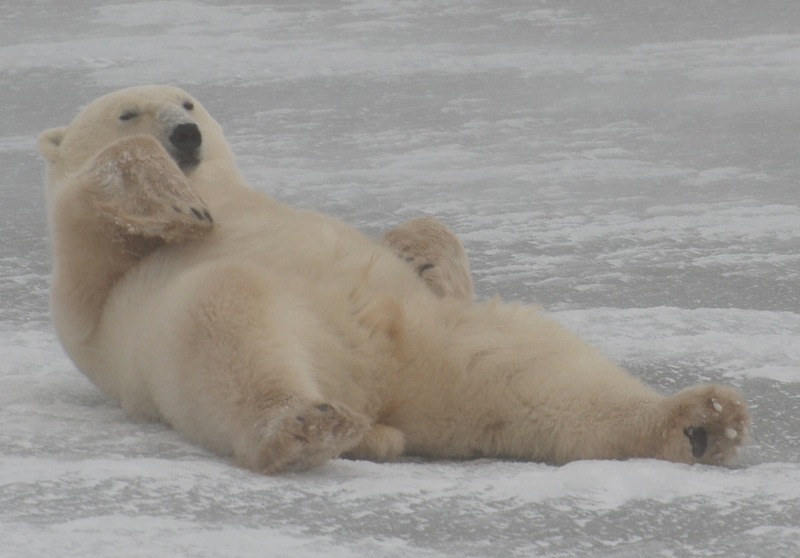 This 850-pound bear got down on the ice and rolled like an acrobat, ending up on its back with all four feet up. That bear, then, just got up and continued walking to an area with small bushes to lie down with his back to the fierce-blowing wind and snow like nothing awesome had just happened. Every now and then, the polar bear gets to wait out the wind and snowstorm in the comfort of the polar bear jail in Churchill. 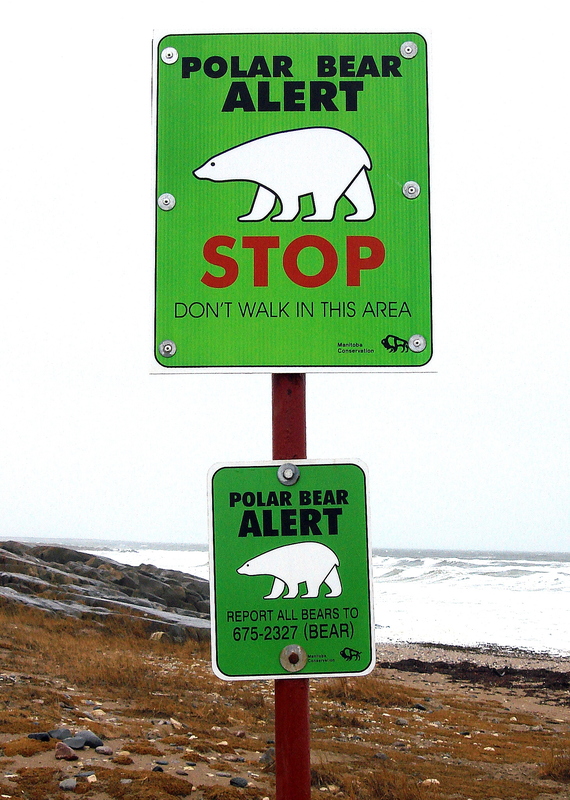 The town has a law that polar bears cannot come within five miles. Fourteen bears had violated that law when we were visiting and were in jail. Some were repeat offenders, as they continued to come to town looking for food and interrupting people’s way of life. They eat in jail and when the jail is full, they are taken back into the tundra to give others a priceless experience.